We’ve been working with fleet customers for years. We know how to recommend the best vehicles, not just the least expensive. A good fleet transaction needs to consider many factors: maintenance/repair costs, performance, insurance and depreciation all affect the bottom line. 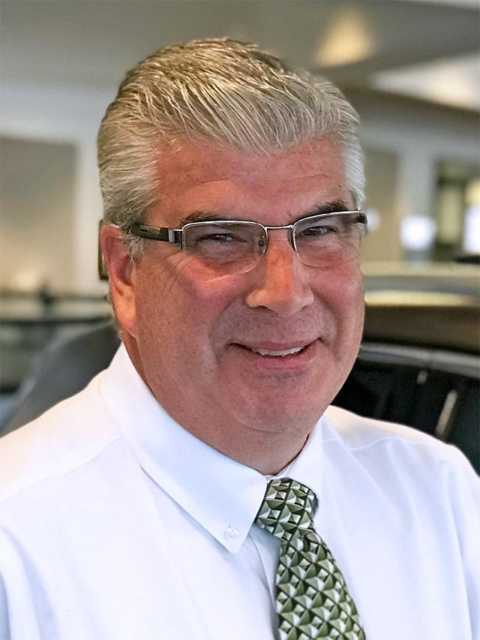 Our Fleet Sales Specialists understand that and they know which vehicles will financially perform the best throughout a given life cycle scenario. Why Bring Your Fleet Business to Flemington Car & Truck Country? No hassle experience – we do the whole deal! Time: you don’t have it – we get it! 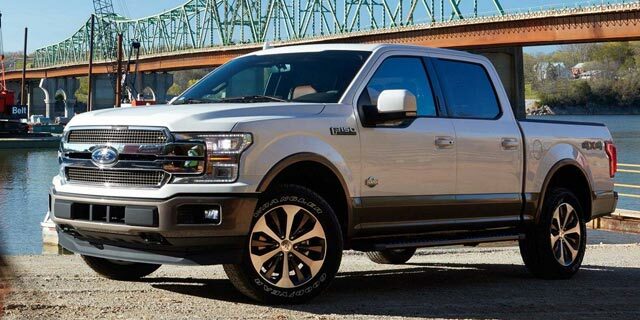 Between being a multi-year winner of the Motor Trend Truck of the Year® award and offering the highest towing & payload capabilities in its class, the F-150 is the reliable choice for hauling cargo. Not to mention offering functional features like trailer sway control, Pro Trailer Backup Assist and a Ford Tough design with a high-strength steel frame & military-grade aluminum-alloy body. 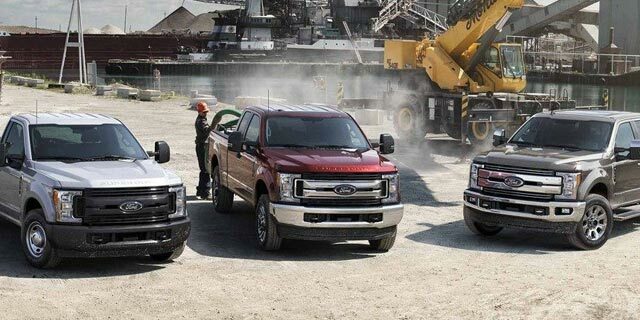 Choose between the F-250, F-350, F-450 or F-550 depending on your power needs for towing & payload and if you’re looking for a pickup truck or a more customizable chassis cab model. No matter which you pick, you’ll get top-notch hauling power while benefiting from added comfort features, larger brakes and over 12 million test miles being driven in regular & extreme conditions. 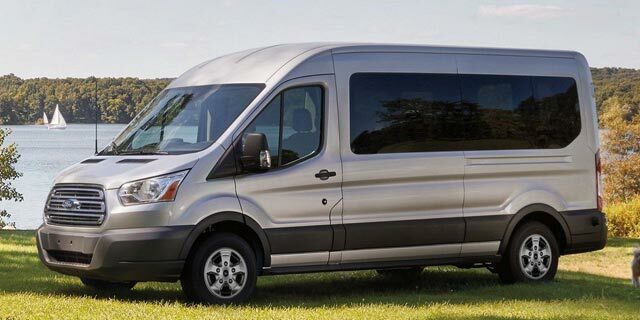 The Transit Connect Van gives you the cargo-stowing versatility & space you need while offering a body that’s made for parking in tight areas and urban neighborhoods. Not to mention lots of useful amenities and fuel savings, allowing you to spend less at the gas pump. 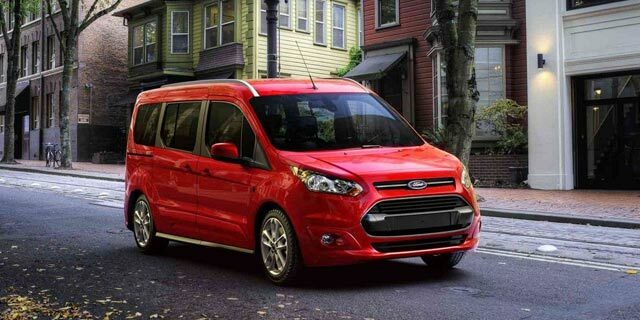 Built Ford Tough for durability, the Transit Van gives you lots of options to meet your cargo stowing & hauling needs. Between the customizable cargo area, loads of functional features, 3 model levels and the 2 roof options, there’s a Transit that’s right for your business. 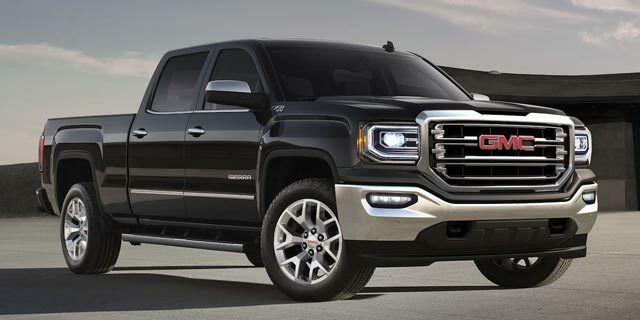 Even though it’s classified as light duty, you’ll get lots of power in the Sierra 1500. You’ll get top-notch towing & payload capability and functional features while making the process of handling cargo so fast & simple and giving you driving confidence. 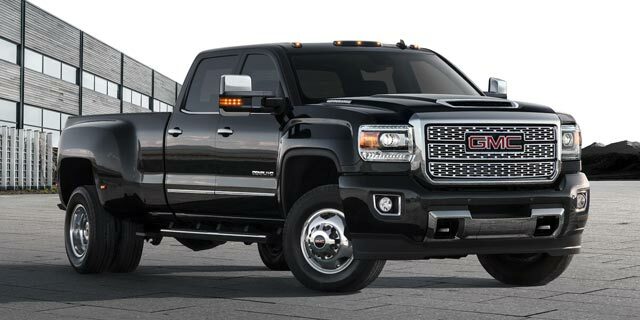 Taking truck power to the next level, the Sierra HD offers the towing & payload capability you desire whether you pick the 2500HD or 3500HD. Don’t forget about the 4G LTE Wi-Fi, Trailering Camera System & 6.6L Duramax Diesel engine options. Coming in 2 different models with a regular or extended wheelbase option, the Savana gives you choices for your business. 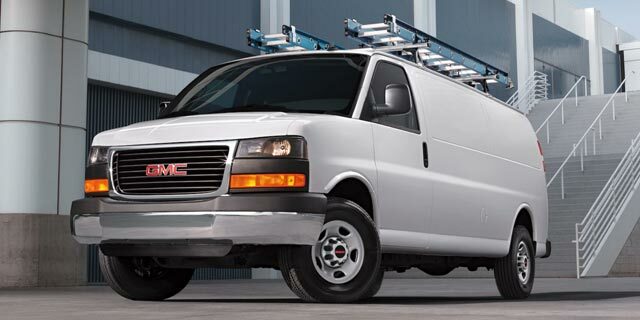 Spaciousness, personalization choices, powerful towing & the ability to become a mobile office: the GMC Savana Cargo Van has it all! 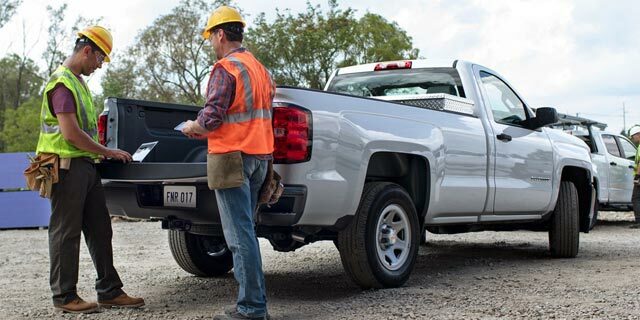 Between 3 cab choices, 3 box options, 2WD & 4WD drivetrains and so many convenience amenities to customize, the Chevy Silverado 1500 can be made to fit your specific business needs to get the job done. 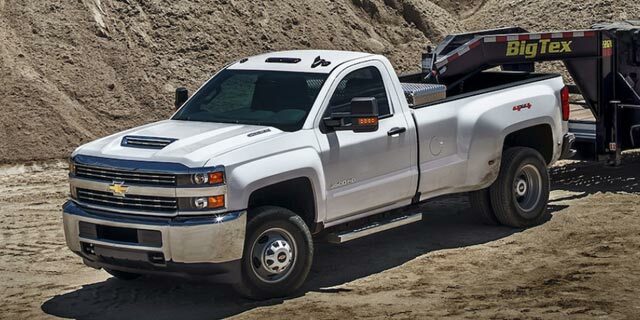 Available in the 2500HD and 3500HD models, the Chevy Silverado HD gives you options as to how much power you can get for towing & payload hauling including 2 powerful V8 engines: one gasoline & one diesel. Not to mention functions like trailer sway control, hill start assist & digital steering assist for superior handling & stability. 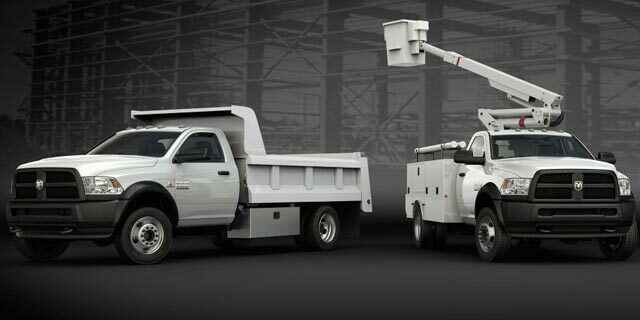 Available with a Crew Cab or a Regular Cab, the Ram 2500 Tradesman gives you loads of towing & payload power while offering up a number of great features you’ll find will come in handy for your business. Among them are in-floor & under-seat rear cargo storage, a rear backup camera and seating for up to 6. 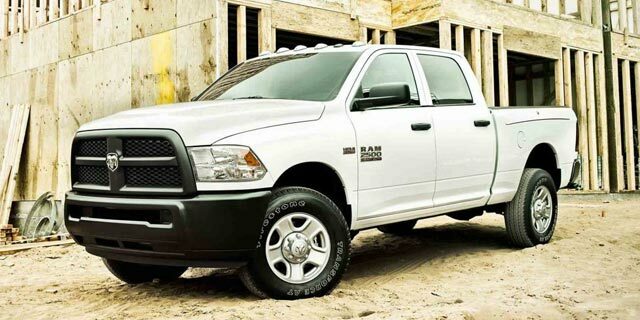 There are plenty of customization options for you to choose from for the Ram 5500 Chassis Cab. Among them are a choice of legendary engines choices of the 6.4L HEMI V8 gasoline or 6.7L Cummins Turbo Diesel and trims including the made-for-work Tradesman and the Laramie offering more upgrades. 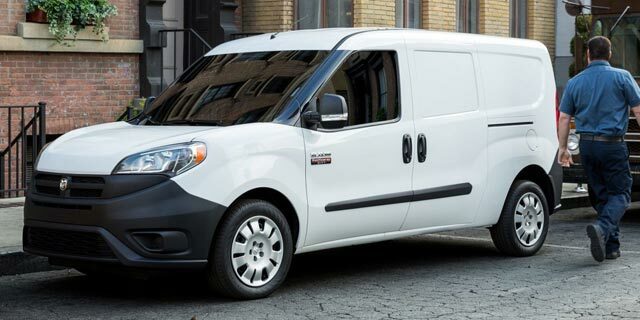 Offered in the Tradesman & Tradesman SLT models, the ProMaster City Cargo Van is the right size for your business with plenty of room to stow anything you need inside while offering optimal fuel efficiency and the ability to park in tight spaces. There are also several upgrades available to make your job even easier.